Wednesday, January 9 from 2 to 3:30 p.m.
Come in and check out our Digital collection! In this session, we will discuss how you can access thousands of eBooks/eAudiobooks from anywhere with just your library card and four-digit PIN. We will also take a look at our new online catalog. Please bring your devices and your questions. Registration is required. Call 228-255-4800 or sign up at the Customer Service Desk. Deadline to register is Tuesday, January 8. Friday, January 11 from 10 to 11:30 a.m.
Did you get a new device for Christmas? Whether your cellphone/tablet is new, or you just want to get a little more familiar with it, join us as we take a look at the essentials. We will learn the basics of proper upkeep, maximize your storage, and get rid of apps that you don’t want. We will also cover things such as using the app store, widgets, and when to use apps vs. websites. This class is for both Android and Apple devices. Registration is required. Call 228-255-1724 or sign up at the Customer Service Desk. Deadline to register is Thursday, January 10. Wednesday, January 16 from 2 to 3:30 p.m.
Let’s get organized. In this course, we will explore a few different techniques on organizing and backing up your files that will maximize space on your device. This includes transferring files to and from flash drives, external hard drives, and even your cell phone. Yes, that does mean you can back up your pictures from your phone! Personal devices are welcome. Registration is required. Call 228-533-0755 or sign up at the Customer Service Desk. Deadline to register is Tuesday, January 15. Thursday, January 24 from 5 to 7 p.m. Calling all video game enthusiasts! Hancock County Library system is hosting another video game night. We will have PC gaming, multi-player games, SNES, and a VR headset. Bring your friends and bring your family - it’s going to be a fun night! 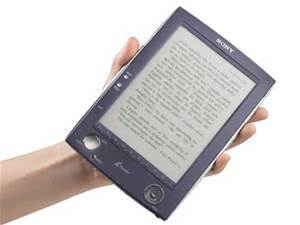 Portable devices are welcome such as laptops and handheld game consoles. Don’t forget that we have Pokestops! Space is limited; you must register for guaranteed gameplay! Call 228-467-5282 or sign up at the Customer Service Desk. Deadline to register is Wednesday, January 23. Friday, January 25 from 10 to 11:30 a.m.
Are you browsing the web safely? Are you sure? We will talk about the steps you can take to help protect your information including: making strong passwords, browsing in incognito mode, verifying that you reach the correct website, and implementing parental controls. Personal devices are welcome. Registration is required. Call 228-467-9240 or sign up at the Customer Service Desk. Deadline to register is Thursday, January 24. Monday, January 28 from 3:30 to 5 p.m. If you need help with basic computer tasks, join us for this easy-to-follow class. You may bring your own laptop, or use one of ours. Registration is required. Call 228-467-5282 or sign up at the Customer Service Desk. Deadline to register is Saturday, January 26. Tuesday, January 29 from 3:30 to 5 p.m.
Building on what was taught in the previous class, additional computer skills will be explained and demonstrated with hands-on practice. This is also perfect for those who already have basic knowledge and would like to learn a few more helpful computer skills. You may bring your own laptop, or use one of ours. Call 228-467-5282 or sign up at the Customer Service Desk. Deadline to register is Monday, January 28. Brainfuse is a free online tutoring program that covers a large number of subjects that range from elementary school, all the way to college level. You can be assigned a live tutor online to chat and interact with. Brainfuse is available at any public computer in the Hancock County Library System. It is also available outside the library by signing up with your library card and PIN number. To try it out click here. Don’t shell out and send your home videos away for an expensive conversion. Bring your old VHS tapes (or the smaller VHS-C type) and a blank DVD, and convert for free! Make a reservation at the Information| Services Desk. Download a design or create your own, and print it on our new Ultimaker 2! Items up to 15 grams are free (e.g., a custom key fob or pendant). Larger items are $1 per 15 grams (e.g., a pencil cup or action figure). Inquire at the Information Services Desk.